We strive to provide the highest level of service and client satisfaction by keeping up on the leaves throughout the fall. Yards vary greatly around the area. We do have customer that only need one or two cleanups. However, typically we do three cleanups a season. The first two typically take longer and we get the bulk of leaves. The third trip is usually a little lighter but we spend extra effort getting the leaves out of tough spots like plant beds next to your house. You never know when winter is coming. If winter hits early Hopefully, we already got the bulk of your leaves picked up and can come back in the spring to finish. It’s healthier for your lawn. Having piles of leaves, especially wet leaves, sitting on your lawn can damage and even kill parts of your lawn. The closer to winter we get, the colder, wetter and less sunlight we have. Wet leaves are harder and take longer to pick up. We want to avoid a huge volume of soaking wet leaves late in the season. Multiple leaf Pickups helps reduce the overall time it take to remove the leaves. Saving you Money. Spreading out fall cleanups often means we are picking up some of your leaves when it’s drier and the ground isn’t as soft. 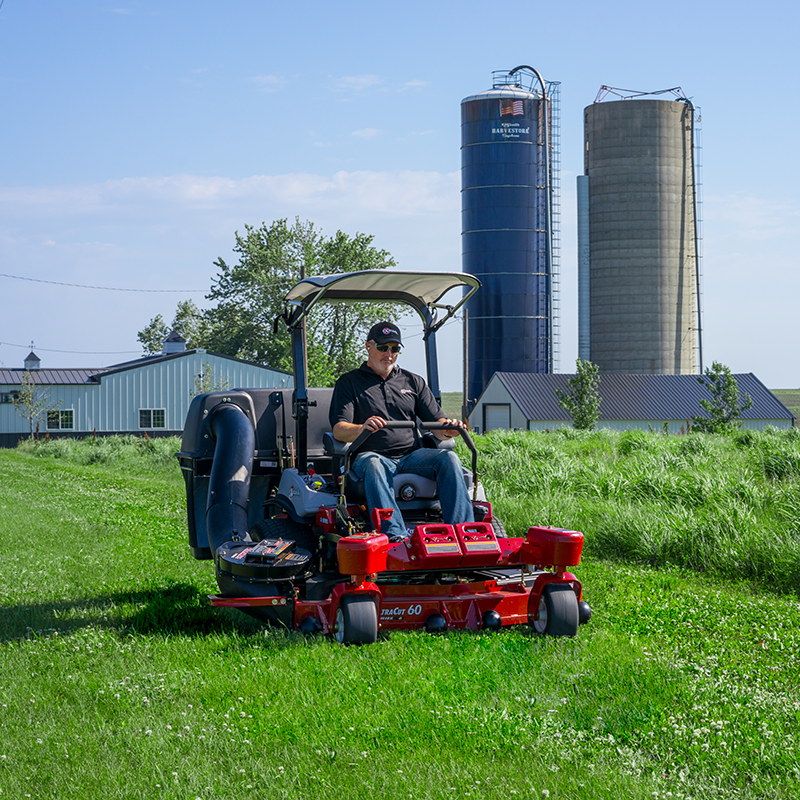 Large cleanups late in the season means a lot of activity with heavy lawn mowers on soft ground. Spreading out the activity on your lawn with multiple cleanups helps avoid equipment blemishes or damage to your lawn. Neighbor tend to be happier when leaf removals are keep up through out the season. 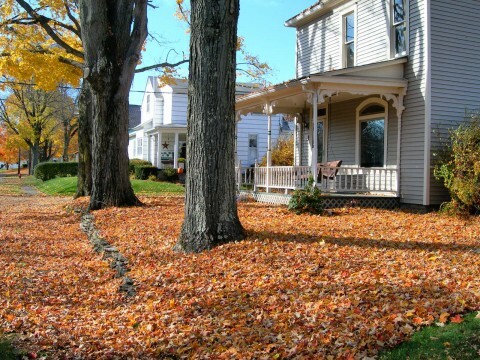 Very late in the season we can do multiple small finial cleanups on our customers yards because we have already reduced the volume of leaves. Our fall cleanup customers often do not need a Spring cleanup. Leaves still blow around so a few of our customers have us come back for small inexpensive spring cleanups. Traditionally, late March early April. 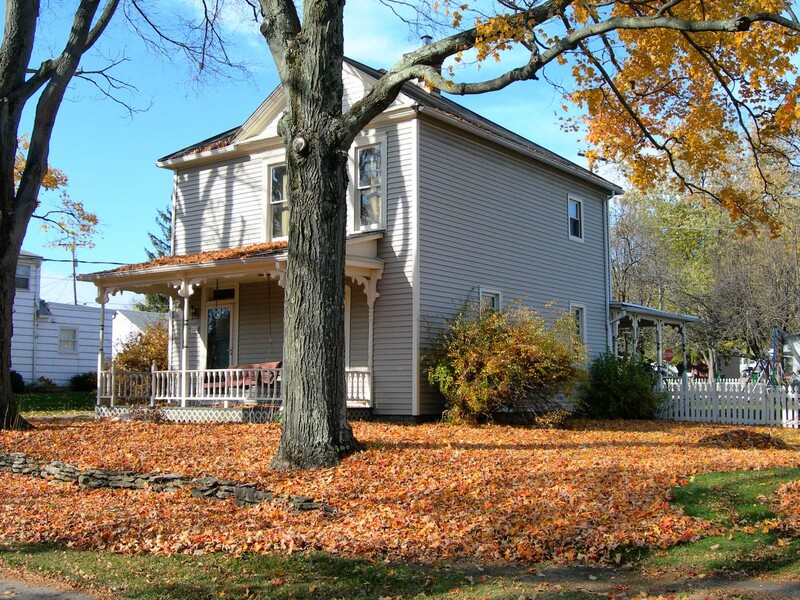 Generally, we try to perform spring cleanups before the mowing season begins in earnest. The growth rate of grass in the spring is often very rapid. Autumn leaf colors begin in mid to late September. Traditionally, Early to mid October is when the leafs really begin to show color and start to fall. Weather depending, Leaf pickup and removals start late October and run until December 1st. Commercial Zero Turn Mower with vacuum/bagger system.